Hello to you all. 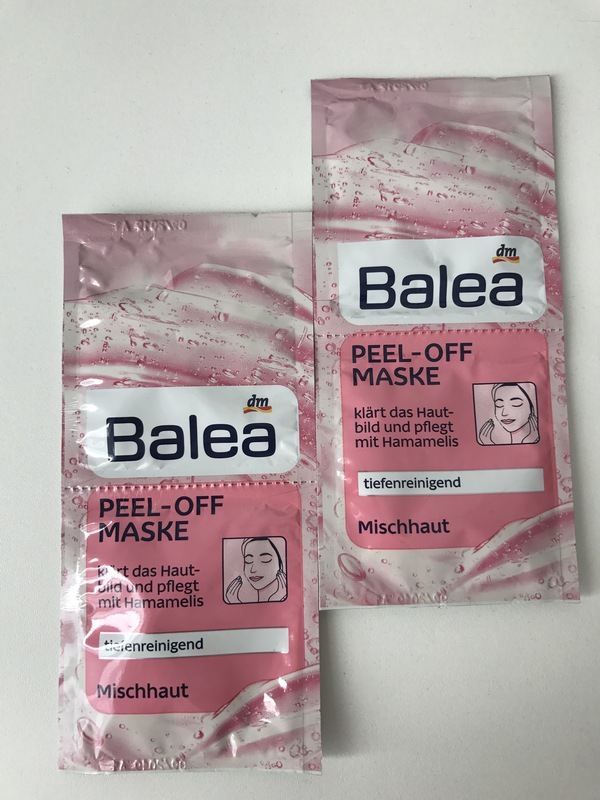 Today I am talking about my new purchase and it is all about Balea mask that peels of and leaves your skin fresh and clean. So what you get in this small package are two masks. They are gel formulated and they are supposed to be used 2-3 times a week. You get 2 for less than a 1€. I really enjoy the smell. It is a little bit alcoholly in the first 2 min but after that it dissapears completely. So this mask claims to clean your face, clean your dead skin from the face, deeply cleans your pores and leaves fresh looking skin. It hydrates your skin and this one is supposed to be for combination skin. I have normal to dry but I purchased this one because I am obsessed with peel of masks. I feel like I could every day clean my pores and face and it will always be some impurities. I am all into these masks for months now. My opinion about this mask is clear. I love it. It is not harsh. It is very juicy and has smell of peach and also has extract of peach for your skin. I love that it is easy to peel of. It is not sticky. You are supposed to take it of after 10-15 min. It picks up impurities off your skin that is for sure. I really enjoy the price tag too. It is affortable and works pretty fine. I noticed that my skin looks fresh and clean after using this mask. Also it feels hydrated. THIS MASK IS approved for me! ❌ only down side is the packaging. I always drop a little bit of yelly when I try to put it on my face. But that doesn’t mean that I don’t like it. That is all for today. If you like this post please leave me a comment. And if you tried it let me know how it did work for you. I’m glad this peel off mask isn’t harsh! I find a lot of them are too stripping and makes my skin dry and red.